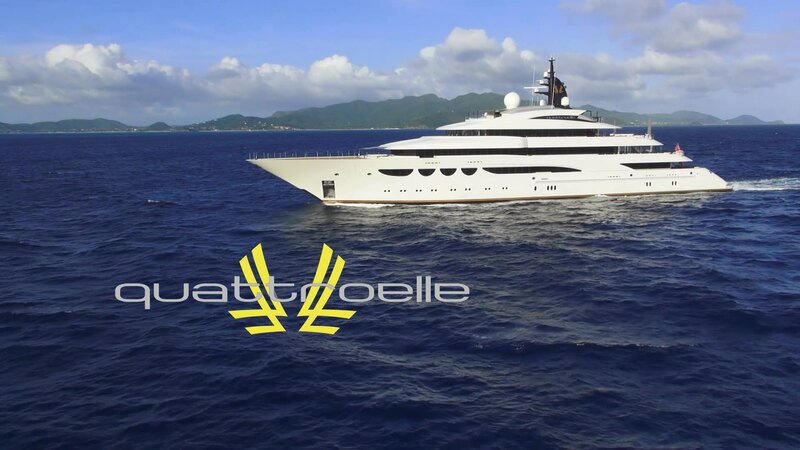 Quattroelle: The 86-meter custom-built superyacht Quattroelle was delivered in 2013. Designed for long-range cruising, she requires fewer stops in port than most vessels of her size during extended voyages. The name, Italian for “four Ls,” expresses what she means to the owner: Love, Life, Liberty and Luxury. She is the first Lürssen yacht designed by Nuvolari & Lenard. The designers, who were responsible for both the interior and the exterior, gave her a sleek profile marked by bold yet refined lines and large spaces. The interior is best described as eclectic contemporary, with a comfortable balance between traditional and ultramodern elements. Her fully custom-crafted decor features a sophisticated combination of wood, stone and bespoke fabrics.